Couldn’t resist putting this picture up ……. (I found it while browsing the net but unfortunately I can’t remember which site I got it from!!! )… She is just too cute and I just want to give her a big hug…. 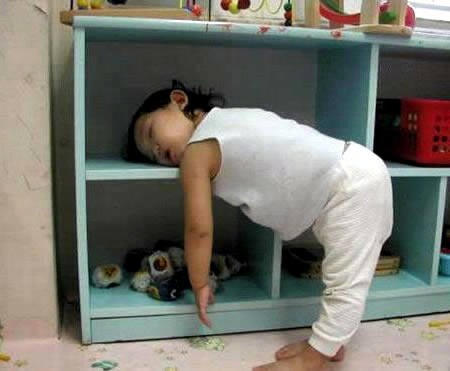 funny how kids always look like angles when they are asleep….no matter where they are sleeping!!! !… God Bless them… each and every one! This entry was posted in Funny by mia0909. Bookmark the permalink. I just want to give her a big hug… she reminds me of Marya a little!